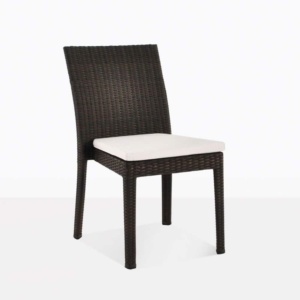 Made out of long lasting, all weather wicker Viro®, the Romansa Dining Side Chair is uniquely designed, and a favored chair at Design Warehouse because of its attractive look and easy to stack feature! This dining chair adds style to any of our teak, concrete or wicker dining tables. 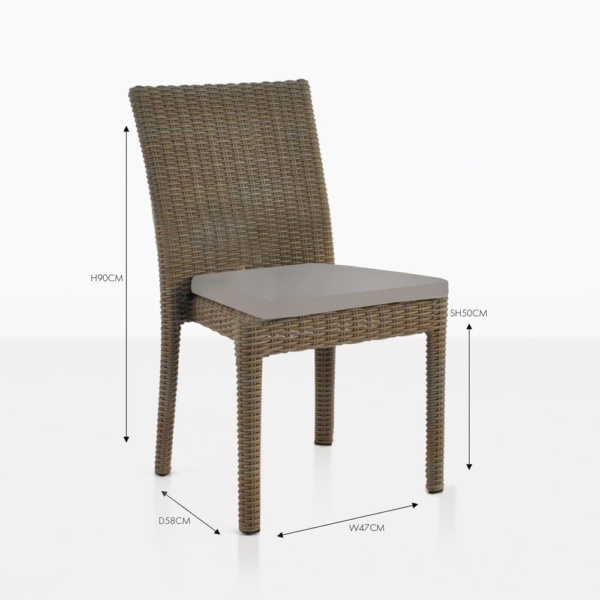 Try out with a Capri Single Extension Table for a beautiful contrast between the wood and the wicker. Also available as an Arm Chair in Antique Java or Kubu.